Ordering automation is on the rise. POS companies are taking the time to build and introduce kiosk platforms that integrate with mobile ordering, display systems, and operations management software. These kiosks will play a key role in speeding up the ordering process and will create a more customizable experience. Restaurant Kiosk Order Systems are booming and will continue to grow over the next year. Chains like McDonald’s will be leading the way for self-service kiosks. As of 2020, self-service ordering kiosks will be implemented at all U.S. McDonald’s locations and “next generation” vending will increase from $10 to $20 billion. Customers are starting to expect this kind of automation. In the restaurant industry, this means customization and convenience. If a customer can’t get what they want, when they want, they’ll look for other options. Kiosks will solve this issue by automating the ordering and payment process. The cost? Human Jobs, but we’ll save that topic for another day. Tillster, is a global leader in digital ordering and engagement solutions for restaurants. They recently launched a self-service Kiosk Index to study how offering self-service kiosk impacts guest behavior. They found that “The Index pinpoints the line length that will cause customers to walk away from their favorite establishment in favor of a faster experience. However, if kiosk ordering is available, many customers will stick around,” the study says. It also found that approximately 31% of surveyed quick-service guests had used a kiosk in a restaurant in the past 12 months and 54% of those plan to place an order with a kiosk within the next year. Furthermore, 60% said they would visit a limited-service concept more often if they were available. Technologically-savvy customers are expecting control and customization when ordering. From the business side of things, a customer’s experience needs to align with business operations as well so the restaurant doesn’t get overwhelmed with change and orders. 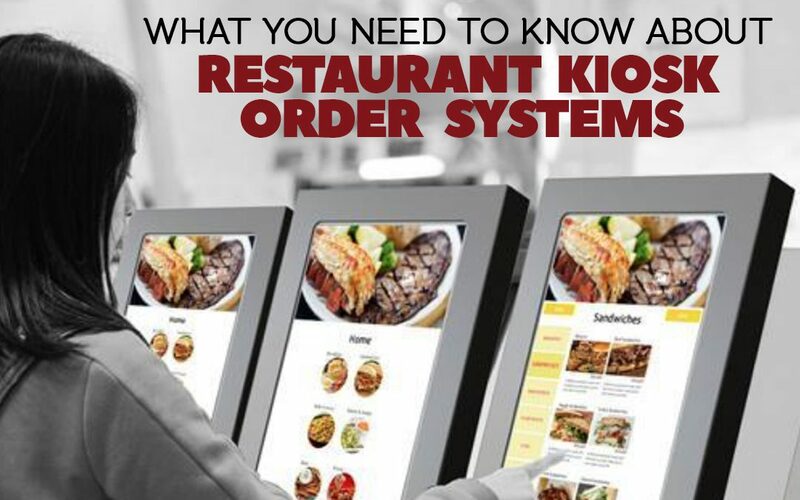 To begin learning more about kiosks, take a look at this long list of options to start your journey towards automating the ordering process for your restaurant.